Here's a two week old story that doesn't seem to have gotten much attention. 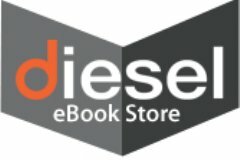 Diesel eBooks, one of the lesser known (but still thriving) ebook retailers in the US, filed an antitrust lawsuit earlier this month. This retailer is alleging that it was harmed when 5 publishers conspired to bring about agency pricing. HarperCollins, Hachette, Macmillan, Penguin, and Simon & Schuster are all named in the suit, with Apple as the lead defendant. Ever since the 5 publishers settled the antitrust lawsuit brought against them by the DOJ in 2012 I had been waiting for ebook retailers to file a similar lawsuit. The DOJ settlement only dealt with restitution for consumers that were forced to pay a higher price for ebooks, but they weren't the only affected party. Agency Pricing enabled publishers to control the retail prices of the ebooks they published, and that control restricted ebookstores from competing by selling the ebooks at a cheaper price. In short, Diesel eBooks is arguing that Agency artificially restrained the ability of Diesel eBooks to compete in the market. Would anyone care to make a bet as to how long it will take before the publishers settle? Given that they have already tacitly admitted to the conspiracy when they settled with the DOJ, any defense they might mount in this case will be weak. I would like to say that they have no defense, but that doesn't mean they cannot stall the case with motions, appeals, and other tricks. They might even be able to win on a technicality. Apple, on the other hand, is probably going to fight this case as vigorously as they are continuing to appeal the antitrust lawsuit brought by the DOJ. Apple may have lost that case, but they are continuing to fight it on appeal. And they might win, too. I too was expecting this. Diesel has a strong case because the publishers dragged their feet setting up Agency for the smaller ebookstores and because the agency titles were the bulk of their business. All they have to show is a big enough drop in sales that can’t be explained by seasonality. BOB ought to join in the fun. What surprises me is that the ebookstore that lost the most hasn’t sued. Of course, their idiot management is on record as supporting it even though they provided most if not all the market share that Apple now enjoys. Even so, they can still sue and likely win. Antitrust protects even idiots. Wow, Diesel is still around? Haven’t thought of them in ages, although I used to shop there before Apple’s great crusade to increase competition in the market left them with no product to sell for six months, during which they pretty much fell off my radar. I’m sure one reason we haven’t seen more of this is that some of the smaller, indie ebook retailers went out of business during the whole agency thing. I used to buy from Books On Board, but they didn’t survive the agency years. I’m pretty sure they wouldn’t have survived even if they weren’t in the agency years. Maybe, but BOB was unable to secure the Agency agreements from the conspirators for several months during which they only had romance titles to sell, which sent many (most?) of their customers elsewhere. When they got the bulk of their catalog back they had no way to differentiate themselves or entice the lost customers back. That’s a pretty strong case for direct harm. Diesel eBooks will be closing at the end of this month. It’s been a great ride! We’re exploring our options – eBooks are still in the infant years and there are many opportunities opening up now and in the future. IMPORTANT: you must download your eBooks by month end. Downloads will not be possible on April 1st. We want to thank you for being such loyal customers. Understand this doesn’t necessarily mean you won’t see Diesel in another form in the near future. A genuine pity, of course, but why am I hearing a Queen song in my head? Whoops. This is the first I had heard of this. Thanks!